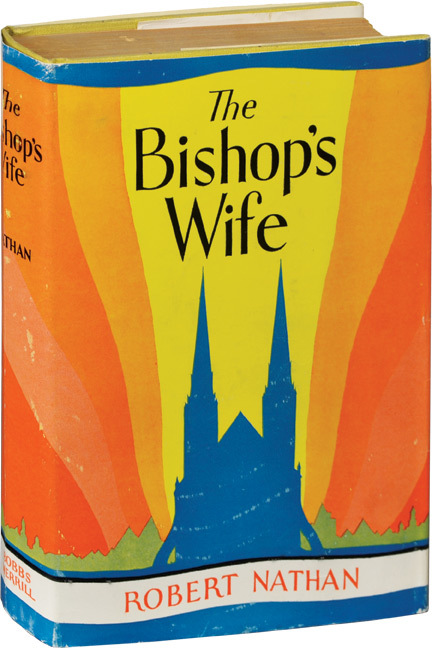 The Bishop’s Wife by Robert Nathan surprised me in more ways than one! I love this popular Christmas movie and decided to read the book with expectations that it would be even better than the movie. After reading the book I can only say that Hollywood did a real number on it! The book is only slightly similar to the movie in the way that an angel is sent from Heaven in answer to a Bishop’s prayer for help. From that point on, the novel goes way in another direction. Surprisingly, the story which was published in 1928, is more about the angel and the Bishop’s wife having the hots for each other. According to movie lore, originally, Cary Grant was to have played the Bishop in the movie. In the book, the Bishop is frigid and his wife is a dam about to burst due to his lack of passion. Hollywood made the better choice in casting David Niven in the role of the Bishop. Cary Grant frigid and cold? Never! In addition to being racy, the book is very political. Considering when it was written, I can see that the author may have written the story as a social commentary more than a story about an angel who comes to earth and falls in love with a mortal woman. In fact, I would like to read it again to view it solely as such. This book is interesting on many levels. I am so glad I had the time to read it this Christmas. I’ll never look at the movie in the same way. This entry was posted in Uncategorized and tagged Books, Christmas, Robert Nathan, The Bishop's Wife. Bookmark the permalink.